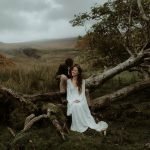 Both incredible photographers and equally incredible human beings, James and Ashley travelled back to Scotland, the place where their relationship blossomed 2 years ago. 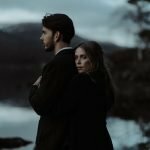 This is a short snippet from the special time we recently spent together in the Scottish highlands. Cinema has always been my main inspiration for photography so to be filming movies is something I’m really excited about! I’m really looking forward to delving deeper into cinematography this year and exploring the new storytelling possibilities that video brings. A trailer from another special video story filmed in Scotland coming very soon! this is so awesome, colors is so deep!! So well done. I'm very looking forward to see the whole story! Keep it up.